On Friday, January 11, Novaya Gazeta reported that persecution of individuals thought to be LGBTQ has drastically increased since late December in the Russian republic of Chechnya. Since then, Meduza has received additional information from the Russian LGBT Network, online groups for LGBTQ residents of the Caucasus, and a young man who has demonstrated close ties with the LGBTQ community in the North Caucasus. This report describes what makes this moment different from the attacks on LGBTQ people that have been ongoing for years both in Chechnya and in Russia more broadly. 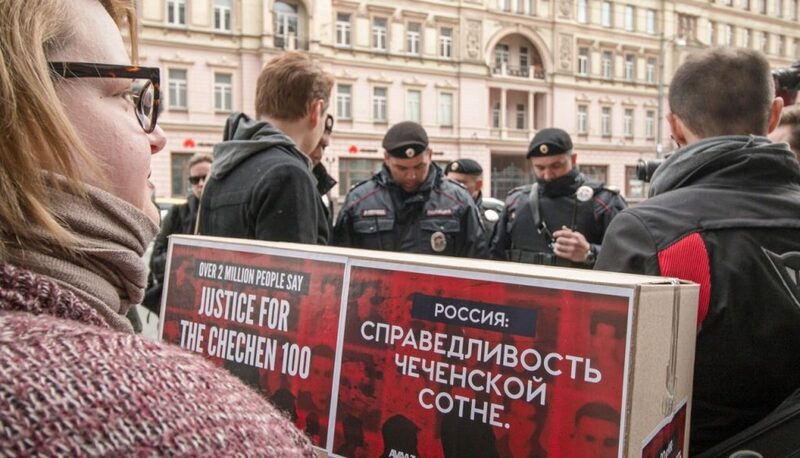 Meduza has received information from the Russian LGBT Network as well as named and anonymous sources within the Russian LGBTQ community describing escalating efforts among Chechen police to hunt down, illegally arrest, and torture Chechens who are suspected of having LGBTQ identities. While advocates have reported similar systems of persecution for two years, a sharp increase in illegal arrests allegedly began less than one month ago, in late December 2018. Aleksandr Mironov is a young man who says he fled North Ossetia, another region in the North Caucasus, after experiencing persecution because he is gay. He asked that his surname be changed to protect the safety of his relatives but said he provided his real first name, adding, “everything I had to lose, I have already lost.” Mironov currently lives in France but has maintained contact with a number of Chechen friends. He described living in Moscow for a period of time with a group of gay men who had also escaped Chechnya. He told Meduza that all of the information he provided came directly from people who had witnessed the current crisis in Chechnya firsthand. Mironov has provided Meduza with images that verify his location and some of his identifying information. Efforts to verify his story while protecting his safety are ongoing, and Mironov has been put in contact with representatives of the Russian LGBT Network. Mironov’s sources told him that within the past month, Chechen police have illegally arrested approximately 40 people, including both men and women, based on suspicions about their sexual orientation. The LGBT Network, which for almost two years has led the evacuation effort to move targeted individuals living in Russia’s North Caucasus to safety, confirmed this number in a January 14 press release. However, while the LGBT Network received word of at least two people who died in the course of being tortured, Mironov said he puts the number of those killed at 10 to 20, saying that one of his friends personally saw more than two bodies being carried away from the location where he was held. A source within the LGBT Network wrote to Meduza, “I would not be surprised if Aleksandr is correct.” Mironov told Meduza that the present crisis is “a genocide” and that he chose to speak out because his friends and his community are finding themselves in an increasingly drastic situation. News about the crisis began to break on Friday, and the young man said he fears the first response among Chechen authorities will be to increase the rate of arrests and killings. Mironov confirmed that victims are being tortured in Argun. It has been reported for more than a year that a former police building there was refitted to house secret torture chambers for men and women suspected of being LGBTQ. Mironov and other sources also said that finding concrete evidence on individual cases is extremely difficult because police confiscate cell phones and any other means of communication a victim may have. Victims can typically resume contact with the outside world only if they are released from custody. As Meduza reported on Friday, news of increasing persecution has emerged amid a call from the Organization for Security and Co-operation in Europe to investigate the wave of torture and killings that hit Chechnya in 2017. Like this purge, the previous spike in persecution was first reported by Novaya Gazeta. The author of the OSCE’s report, Dr. Wolfgang Benedek, recommended that the OSCE “open an inquiry into the actions of the government of the Chechen Republic toward LGBTI people” as well as a criminal case connected to the persecution of Maksim Lapunov, who had then been the only victim of the purges to publicly identify himself. The LGBT Network reported in their press release that Benedek was refused entry to the Russian Federation and that Russian authorities have still failed to conduct any meaningful investigation of the “systemic persecution” that began nearly two years ago. 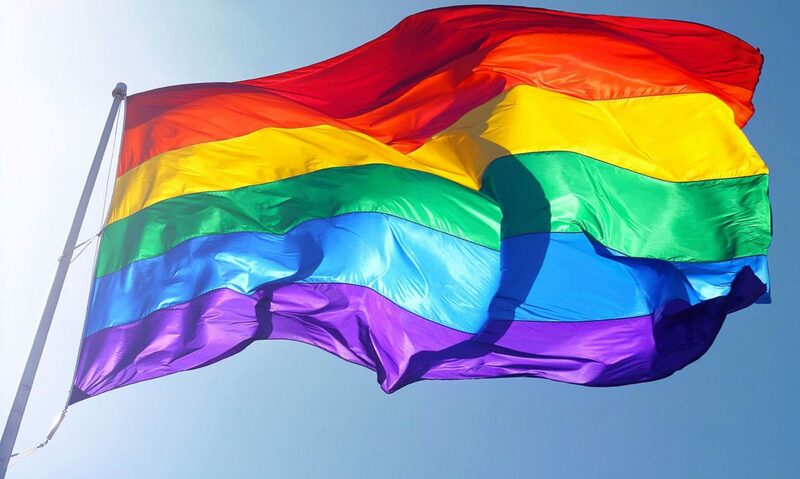 Anonymous members of social media groups dedicated to the LGBTQ community in the Caucasus have confirmed and spread information about the recent increase in police attacks. Many of them are urging LGBTQ people in affected areas to delete any information from their devices that might reveal their sexual orientation, change their phone numbers, and destroy their devices if possible. The posts in question all urge potential victims to leave Chechnya and the North Caucasus as soon as possible. For its part, the Russian LGBT Network has vowed to continue relocating people who now find themselves in ever increasing danger. Since anti-LGBTQ persecution in Chechnya took on a new, systemic nature in 2017, the organization has relocated approximately 150 people, more than 130 of whom were able to leave Russia altogether.